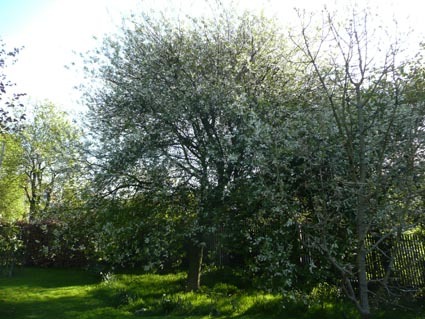 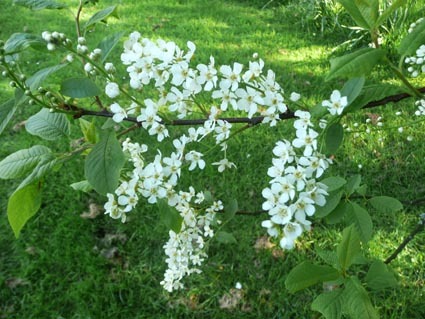 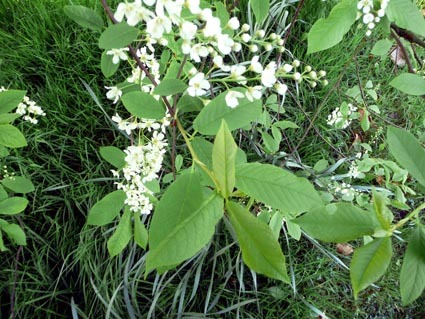 Prunus padus is one of the 4 Prunus species native to the British Isles (the others are Prunus spinosa, the blackthorn, Prunus avium, bird cherry and Prunus domestica, the wild plum (the origin of cultivated plums, damsons and greengages). 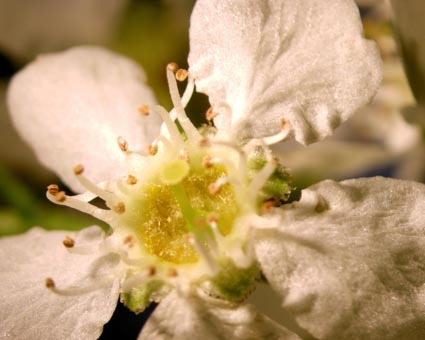 There are over 400 Prunus species world-wide and many hundreds of cultivars, including all the flowering Japanese cherries as well as plums, cherries, almonds, peaches etc. 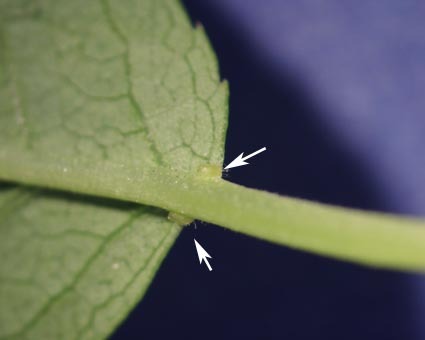 In common with most of the genus, Prunus padus has leaves with a toothed margin and has two small glands near the base of the leaf (see below). 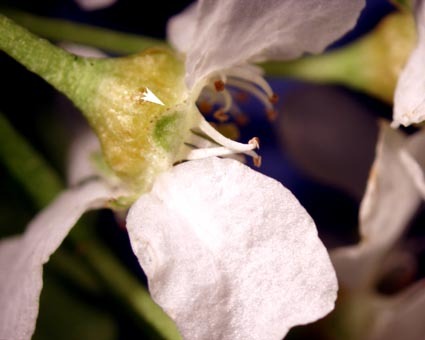 There are also glands around the edge of the small sepals.